From the biggest names in worldwide exploration to their most amazing achievements – and everything in between – an amazing Outdoor World Infographic celebrates The Greatest Explorers of the Last 100 Years. This beautifully created infographic will appeal to all kinds of history and adventure lovers, from schoolchildren to outdoors veterans, and from have-a-go hill walkers to experienced mountaineers. The Greatest Explorers of the Last 100 Years InfoGraphic has been designed and created by Outdoor World, a leading on-line retailer of camping equipment and leisure wear. It reveals a host of fascinating facts and details about worldwide exploration in a powerful and easy-to-understand on-line resource. The InfoGraphic is a great way to find out more about more than 30 of world’s top explorers, their amazing achievements and the places in the world where most explorations have taken place. 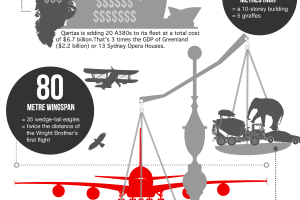 Check out the Infographic in full and find out how to embed it on to your website or blog.